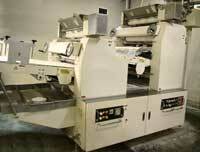 Products Line ['NAAN & PITA' Line] | OSHIKIRI MACHINERY LTD. Diverse dietary cultures have produced many kinds of ethnic foods which are considered to be healthier than other products. Some of the dough type foods which are considered healthier are the Naan and Pita which are hand made in the Middle East, and are desired because of their leaner ingredients. 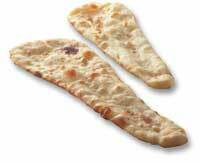 Although highly suitable for various side dishes, Naan and Pita have now been valued as the main staple of many meals. 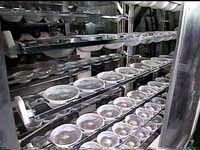 Let us show you how Oshikiri can produce hand made taste using our automatic bread production system. Special Teflon coated durable roller prevents sticking dough and provides excellent sheeting. 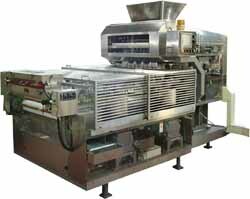 Various dough can be treated by selection of optional unit and fixed speed.